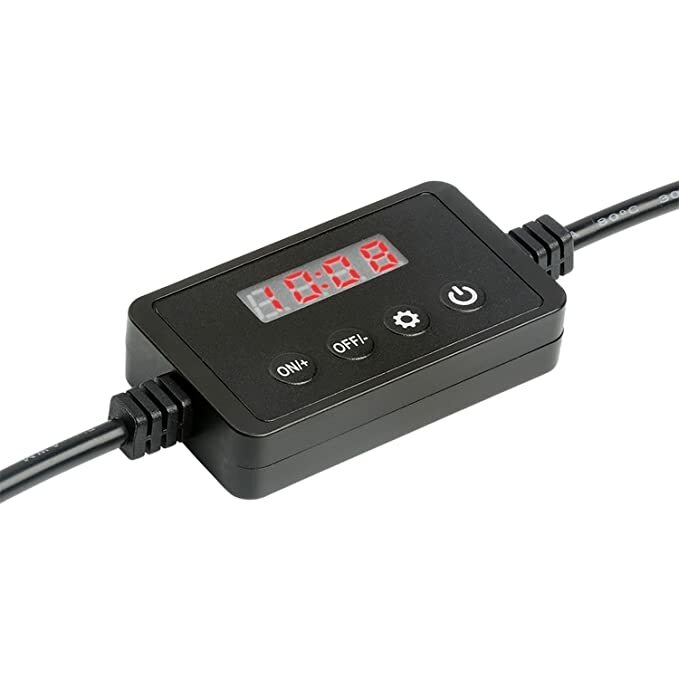 Super bright, energy efficient and long lasting LEDs to produce amazing shimmer to your aquarium. 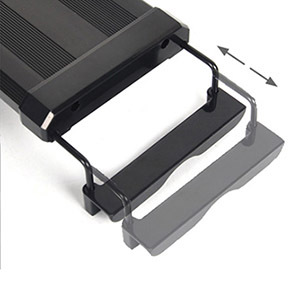 Adjustable metal brackets to fit aquarium tank from 20 inches to 27 inches. 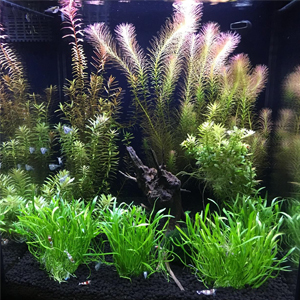 Fits for fish tank thickness not more than 1/2 inch(12 mm). 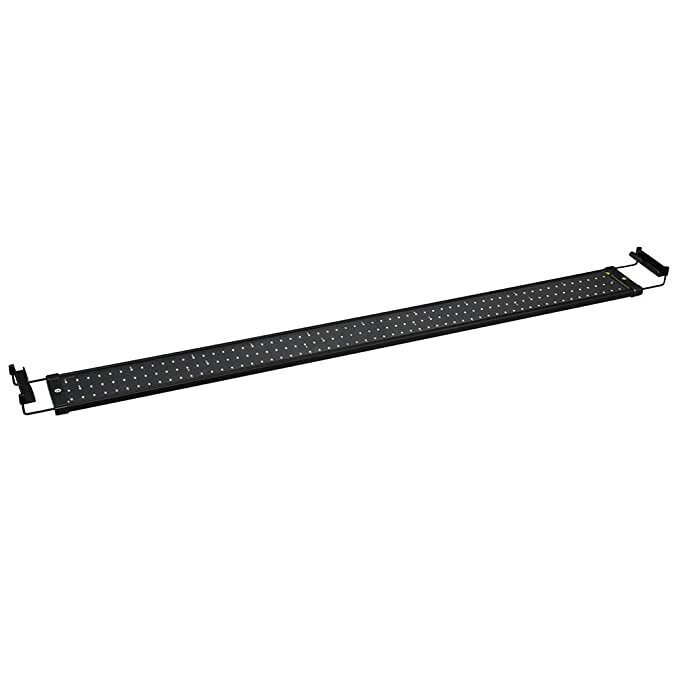 Light Fixture: 20 in L x 4 in W, Hood w/ Brackets Extend: 27 in L x 4 in W. Two lighting modes: White & Blue LEDs for daylight and Blue LEDs for nightlight. One-Year Limited Warranty. Please use over a glass or clear plastic canopy. 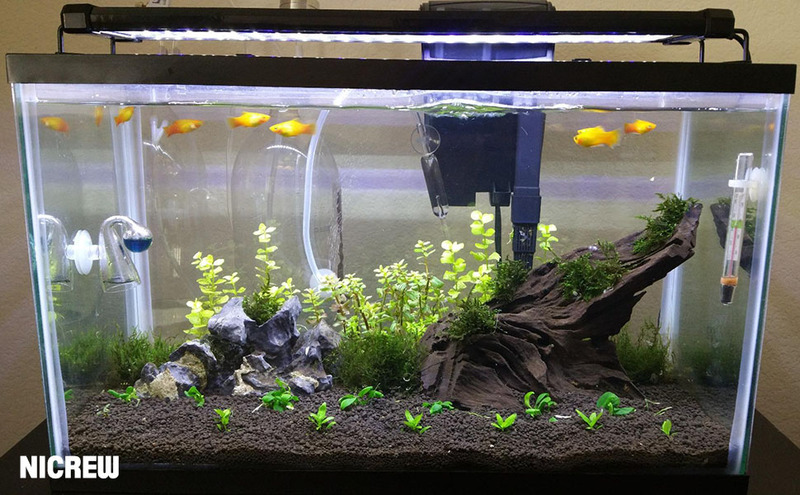 If you have a fish-only aquarium without or with several photosynthetic organisms (plants or corals), there is usually little need to invest in anything more than a standard aquarium lighting which costs an affordable price. 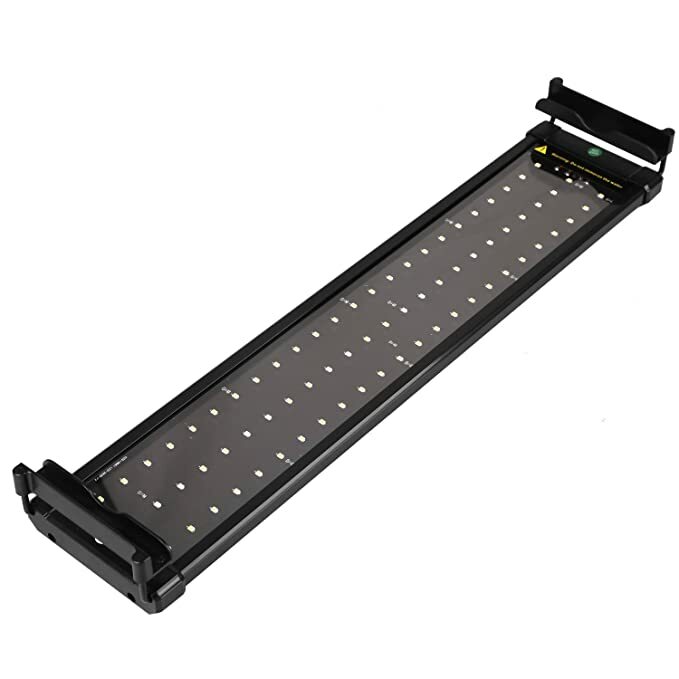 Nicrew LED lights are very popular in the hobby because it not only inexpensive but also meets most of the basic requirements of a freshwater/saltwater tank for the main purpose of keeping fish. 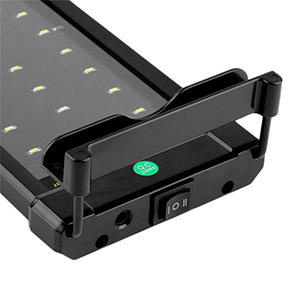 Lunar LED(12 LED blue light mode) provide energy efficient light that replicates the moon light cycle. 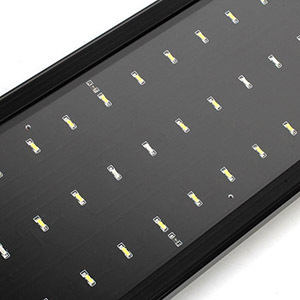 Daylight LED(60 white LED + 12 LED blue light mode) provide brighter output than typical single fluorescent bulb. This appliance was designed for use over a glass aquarium cover or acrylic top. DO NOT USE OVER “OPEN” WATER. 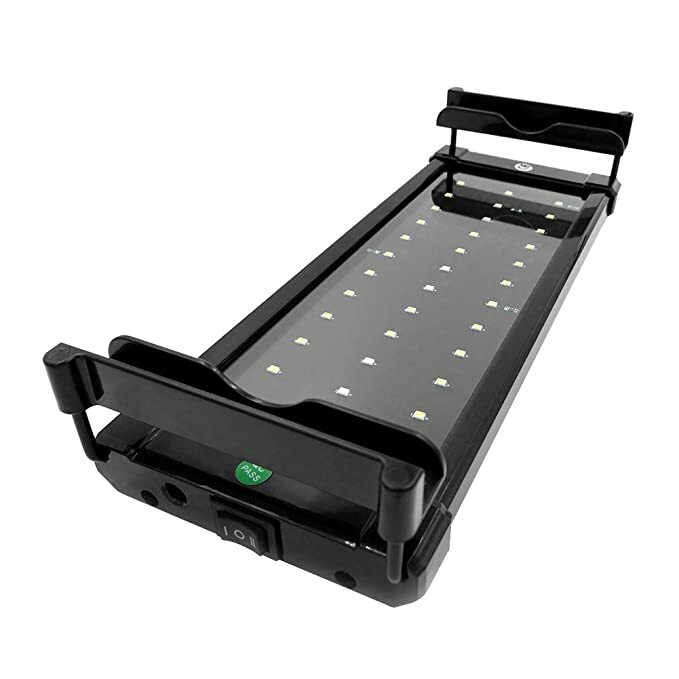 Super bright white LEDs and blue LEDs come together in an amazingly sleek fixture thats dialed-in for freshwater aquatic environments like nothing before. 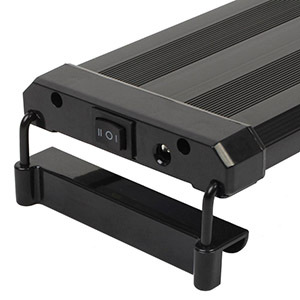 The adjustable mounting legs allow for flexibility in fitting the length of aquarium.This system also makes adding multiple fixtures a snap. Provide the ultimate opportunity to create a realistic underwater home-aquarium environment. A fixture that was engineered for freshwater aquarium.